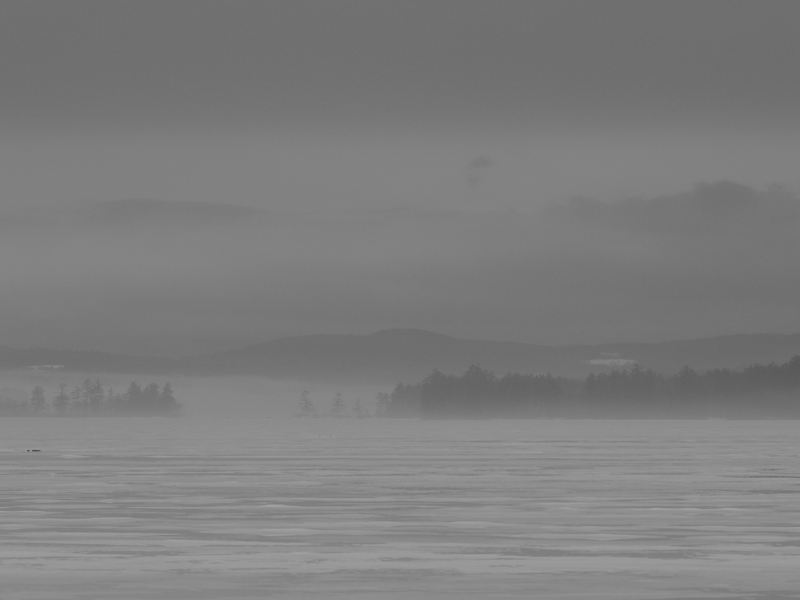 A beautiful fog hovers over a gradually melting Long Lake in Naples, Maine yesterday. On our way to taking the kids to school we always wonder what this spot will look like; fog, mist, frost, clouds, white caps, ice, snow. It’s always different. On this day we had a clear shot of Mt. 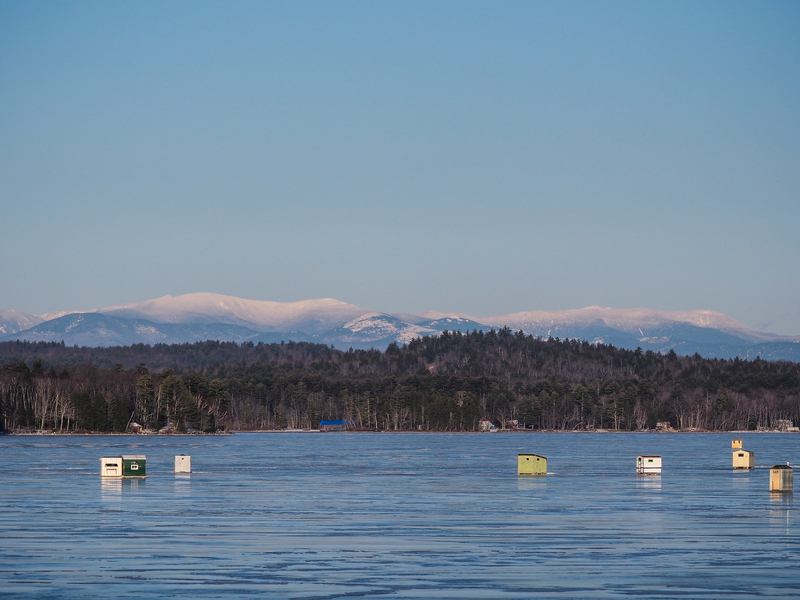 Washington with a slew of ice fishing shacks in the foreground.